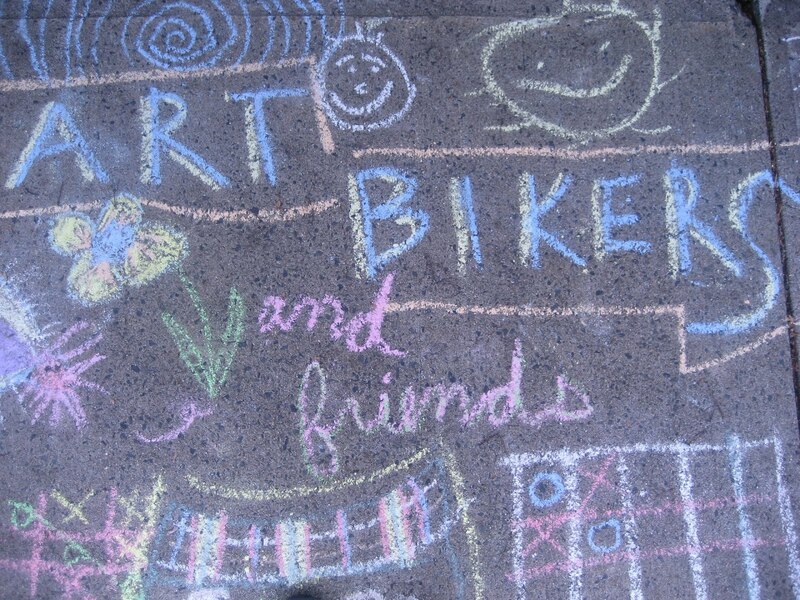 ART BIKERS: Canada Day Art Biker LAUNCH TOUR! It's finally July, and that means the Art Biker season has officially begun! We celebrated our launch by donning silly costumes and visiting as many locations as possible on such a hot day. From the Spring Garden Library parade route to Alderney Landing and all the way back to the Commons, we got a chance to make art with tons of aspiring artists. By the end of the day we had a 100-ft bunting banner, with each unique bunting handcrafted by a different artist! We'll be taking it everywhere we go this summer, so keep your eyes peeled. If you missed us on our launch tour, check out our Calendar of Events to see when we'll be visiting a park near you this summer!